"We’ve thought we’ve had the formula before." South Africa have always been one of the favourites for the World Cup but they have never won the tournament. The Proteas have never even reached the final of the mega-event in their history. They have a record of suffering heartbreaks in either knockouts or do or die matches. 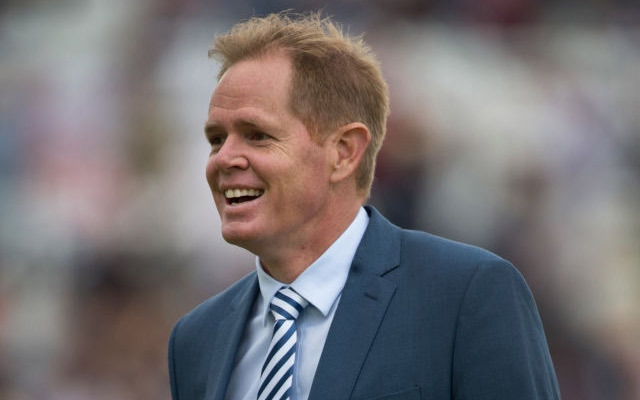 Former South African captain Shaun Pollock believes that South Africa can set the record straight this time by winning the World Cup. Shaun Pollock was a part of many South African squads who suffered heartaches in the 50-vers extravaganza. He was fantastic in the 1999 semi-final against Australia. He took five wickets with the ball and scored 20 runs with the bat but South Africa were knocked out of the tournament as they could only tie the match. Shaun Pollock captained the team in 2003 World Cup where they got eliminated due to miscalculation of the revised target. The South African who played in 31 World Cup matches between 1996-2007 thinks that the Proteas can win the World Cup in 2019. Pollock admitted that there are some strong teams in the tournament but he thinks that Proteas have the ability to beat them. The legendary all-rounder further said that the team can lift the trophy if they can come up with the right strategy at the right time. ‘There is no reason why South Africa can’t win it (even though) there are some strong teams around. We’ve thought we’ve had the formula before, but it hasn’t worked out, but there’s no reason why this team can’t come up with the right strategy and perform at the right time and bring home the silverware,’ the former Proteas skipper was quoted as saying to ICC’s website. South Africa did well in the ODI series against Pakistan, who won the Champions trophy in 2017. A 3-2 series win against a quality team like Pakistan can serve as a morale booster for the team ahead of the all-important tournament. South African fans would be hoping to continue this form in the World Cup.